Southern cemetery Dunedin New Zealand. Annie Evans nee Griffiths and Owen Evans little baby boy David Morris is buried in a Grave with William Evans his wife Phoebe nee Westlake their baby girl Phoebe, their son Morris Evans who is grandfather of baby David Morris died aged 3 days. 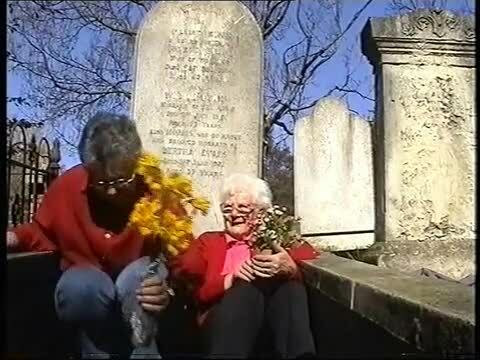 This video is of Annie and her daughter Carol Dougherty nee Evans looking for the Evans grave.